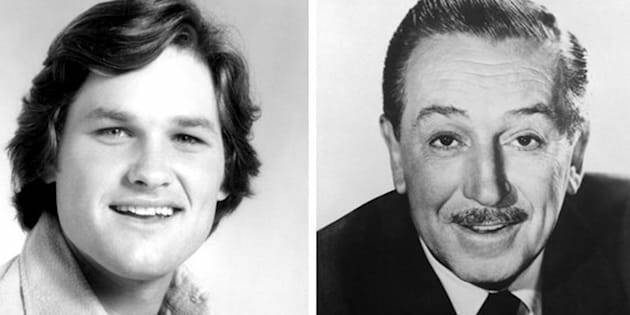 When it comes to the legend of Walt Disney’s final statement, Kurt Russell has the last word. Disney Studios has always been a huge part of the actor’s career. He signed a 10-year contract with the studio early on and now Russell is starring as Star-Lord’s dad, Ego, in Disney and Marvel’s upcoming “Guardians of the Galaxy Vol. 2.” Still, his connection to the company goes well beyond business. In fact, it’s more than legend, according to Russell. It’s true. Disney died in 1966 when Russell was still a teen. The actor says he learned about Disney’s last words a couple of years later. Was it because Disney considered Russell a friend? Was it for a movie role? Who knows? The actor said Disney was very important in his life and he learned a “tremendous amount” from him. Russell’s stories are even more unbelievable than learning Disney’s last words. “We did have a personal relationship. We played Ping-Pong at lunch sometimes. He’d come down to set. We’d go watch movies that the studio was making, and he’d come down and ask if I wanted to go see them. He’d took me around and introduced me to all the different departments at Disney, and at one point gave me a bunch of original photo cells that they make the backdrop drawings of the characters and stuff like that,” said Russell. Disney doing what he do. Apparently, Disney even liked to give Russell career advice. The actor’s family has a deep connection to professional baseball; his dad, Bing Russell, ended up owning a minor league baseball team — a “unique” minor league baseball team (which is the subject of the documentary “The Battered Bastards of Baseball”). Kurt played pro baseball himself for a while, too. Disney told him early on that he didn’t think it was for him. “I was very comfortable around him, and I had a great time with him, great relationship, and it was very important. He said to me, ‘Baseball might not be something that you end up doing as a career.’ He said, ‘I think you might want to look at things in this business because I think you’re going to have a long career.’ So he did have a strong effect on me,” recalled Russell. After an injury reportedly slowed his baseball dreams, Russell became an actor again, and Disney’s prediction of a long career came true. “Guardians of the Galaxy 2” is now set to be one of the biggest box-office successes of the actor’s career, and it’s coming on the heels of another one of the his movies, “Fate of the Furious,” which is soon passing $1 billion worldwide. Or perhaps it’s just a bit of Disney magic. “Guardians of the Galaxy Vol. 2” hits theaters in May.